Linguistics in general is occupied with observing how language is made and how it sounds. Linguistics is a complex area of study and Paper Masters has writers available to assist students in understanding linguistics. Below is an outline of the major fields of linguistic study. Let us help you with a custom research paper from Paper Masters on linguistics, including a focus on morphology, phonology, syntax and semantics. When reduced to the lowest common denominator, the word linguistics is simply the study of human language, which is the foundation on which all communication, whether oral or written, is based. Linguistics in general is occupied with observing how language is made and how it sounds. It also occupied with developing an understanding of how and why languages are used by humans. In addition to contributing to this description of language, linguistics also looks at the origin of languages as well as how they are acquired and learned, especially by children. Linguistics therefore can be traced back to the days of the early Greek philosophers like Socrates and Plato who debated the origins of language. The two remaining areas of study, pragmatics and text are generally not covered extensively in linguistics at the college level. A specialized area of linguistics is applied linguistics, which involves the teaching a language or languages, very often with an emphasis on the translation from one language to another. 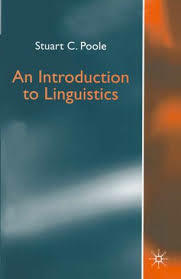 In almost all cases, linguistics and its subfields examine the structure, units, alteration, perception, modification, and nature of language in some fashion or another. In specialized areas of linguistics, such as phonology and phonetics, the study of language involves the examination of the sounds associated with language including how those sounds are made as well as how they are used as part of a system of human speech. Another subcategory of linguistics is historical linguistics, which involves the investigation of how languages develop and evolve, with an emphasis on discovering the psychological and social aspects of language that influence its development and evolution over time. The term morphology is not exclusive to the study of the English language, but it is a term that used to define the study of the structure of words in languages. The word morphology is derived from a term used by a German linguist. The study of morphology starts with the smallest unit of meaning in the language which is a morpheme. A morpheme cannot be broken down into any smaller unit of meaning. Morphology studies the formation of words to combine units of meaning. “It is true that all linguists know something about morphology. In most introductory courses, ‘morpheme’ follows close on the heels of ‘phoneme’ in the first batch of technical terms to which beginners are exposed”. Some examples of the focus for those concentrating on morphology begin with a look at the formation of plurals in the language such as cats and horses. The study includes the meaning added in irregular plural forms such as children and oxen. A student of morphology will identify the relationship of words in the language studied such as the relationship between dish and dishwasher. A student concentrating on morphology will pay attention to the rules in the language that govern the relationships of these words. There is some disagreement among serious students of linguistics on the importance of studying morphology, but there is not the disagreement about the study of phonology which is the field of linguistic study that concentrates on the sound system of that language. Phonology study is related to the study of phonetics which concentrates on the production of these sounds of the language as speech. Phonology is the system of sounds used by people to produce and understand a language. A focus of a linguist studying phonology is the study of minimal pairs in which the sounds in two different words are identical except one sound in those same words are different. Examples of minimal pairs include words such as bat/mat, pin/sin and lie/die. As a person gains linguistic competence, he or she practices the behavior of producing the sounds of the language with the physical attributes of the vocal tract. Children develop the mechanism to produce these sounds that they hear from the moment they are born unless they are born deaf. “To move away from the more abstract views of phonology, it is perhaps useful to compare speaking to other fairly complex but repetitive neuromotor activities, such as playing the piano”. To gain linguistic competence, a learner practices making and listening to the sounds of the language until they become proficient in the language. A third field studied in the quest for linguistic competence by students of linguistics is the field of syntax or the study of the patterns used to form the words and sounds into meaningful sentences, clauses or phrases. Syntax is the patterns of words arranged in a sentence to construct meaning in order to communicate in a language. The combination of syntax and morphology is often thought of as grammar although depending on the context of the discussion, grammar includes the other fields of language as well. The study of syntax is the study of the relationship of the words in a grammatical structure such as a phrase or clause. Syntax is the relationship in this structure between a subject and a direct object for example or a modifier and the word that it modifies. Semantics is the fourth field of linguistics studied by those interested in language. Semantics refers to the meaning of the language. The words of the language are constructed into phrases or sentences to convey a meaning to the reader of the written word or the listener of the spoken word. A group of words combined into a sentence can have a literal meaning which means that these words take on the usual meaning of this combination of words. These same words strung together into another sentence can take on further meaning or different meaning depending on the circumstances and the intention of the writer or speaker of these words. Students learning a language at any level need to study the meaning of the words that are new to their vocabulary. However, these same students must look at different meanings for words that are already part of their vocabulary and the shades of meaning possible to some words. One word in a language might have a particular meaning to a group of people using that language although it may have a completely different meaning to another group of people. As the language changes and develops, a word may change or add to its meaning. For example, a slang word that is used commonly by teenagers today is dialed meaning prepared or content with the situation. This meaning may be totally lost on the educated population not familiar with this usage of this common word. Language learners must also look for possible distinctive meaning in the use of words in special circumstances to determine the meaning intended by the speaker or writer. Ferdinand de Saussure's Nature of the Linguistic Sign Research papers on the language and signs in the human race. Varieties of Spoken English - Spoken english focuses on some general linguistic concepts and their interrelationships. Language Development in Infants Language Development in Infants research papers discuss language development in an infant as early as being in the womb. Plato - After witnessing Socrates' death by forced suicide at the hands of Athenian leaders in 399 BC, Plato fled Athens, traveling to Italy, Sicily, and Egypt. American Indian Language - As one of the most unique populations in our nation, American Indians have a number of unique characteristics that are shared across the populace. Paper Masters writes custom research papers on Linguistics and look at how the study of language has helped linguists understand how and why languages are used by humans.